Headaches are typically caused by contraction of muscles or muscular strain. Muscles that stay taut for extended periods can start to hurt and ache. Headaches that involve muscle tension may sometimes be dental stress. If you suffer from teeth grinding or sleep apnea, an appropriate mouth guard used during the night can help in keeping the airways unrestricted and provide relief from headaches. Headache triggers also can be mitigated by achieving bite correction through Invisalign or various other restorative dental procedures that can serve as headache treatments in Worcester MA. Night Guards for headache from dentist in Worcester Ma Night guards are available through your dentist. A night guard is customized by your dentist to fit your mouth correctly. It is similar to a sports mouth guard, but it fits better and is lighter. Your teeth will be safe from the damage due to teeth grinding. A night guard for the mouth provides protection to joints, muscles, and teeth by substantially reducing para-functional muscle contraction. A custom-made night guard device will prove to be a better option compared to complete coverage bite guards. The night guard provides dentists with a simple and effective method to address patient concerns, including migraines and tension headaches arising from the clenching of the jaw when the patient is asleep. A customized night guard is small and light, which helps in lowering gag reflexes. The comfort level is much higher, making it more comfortable for patients to use. This device further helps prevent clenching of the jaw and grinding teeth during the night, and can perform the role of a headache treatment in Worcester MA. Oral appliance therapy is an excellent treatment alternative for people suffering from obstructive sleep apnea (OSA) and snoring. A customized oral sleep device can enhance your sleep, revitalize your mind, and support your health overall. A sleep apnea oral appliance is worn while sleeping and the fit is similar to a sports guard or an orthodontic retainer. The appliance provides support to the jaw in a frontal position to assist in ensuring that the upper airway remains open. Studies indicate that this is an excellent treatment for obstructive sleep apnea as well as snoring. If you decide in consultation with your dentist that an oral appliance is a viable treatment for you, the dentist will give you a prescription for a customized oral device. Over a 100 oral devices have cleared FDA stipulations. Your dentist will advise you to choose an oral appliance that is ideal for you. This treatment will help you achieve the incidental benefit of sustainable relief from headaches occurring due to sleep apnea. Invisalign for Bite Correction from dentist in Worcester Ma Invisalign is a popular alternative to conventional braces. 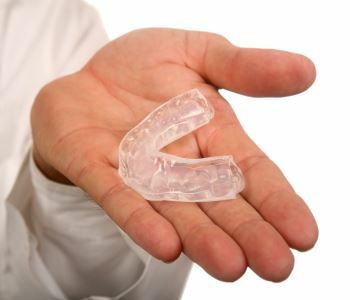 Invisalign uses transparent plastic aligners, which are customized. These braces are supposed to be worn for at least 22 hours a day and can be removed as needed. Invisalign can help rectify a wide array of orthodontic problems like malocclusion and tooth misalignment. 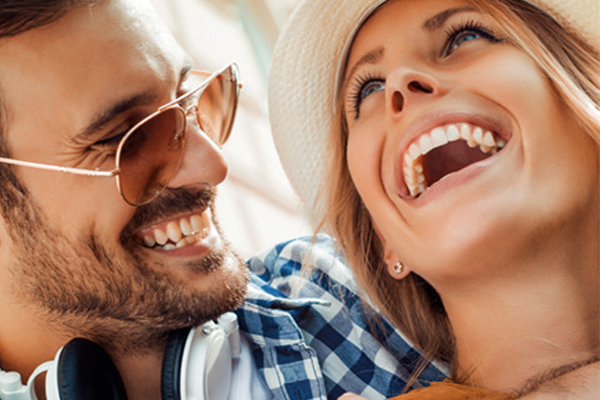 Many individuals seeking Invisalign treatment want to enhance their smiles. However, the treatment offers additional oral health advantages. Improving a bad bite can help reduce muscle pain and headaches. A jaw that is not aligned correctly cannot function optimally and can become sore or taut after some time. This leads to headaches and migraines along with soreness and facial tension, which can also impact the shoulders and neck. The straightening and proper aligning of your teeth can reduce headaches, pain, and muscle tension. The bite is an integral part of the muscle and bone operation. Many of these problems can be mitigated if the bite is corrected with Invisalign orthodontic treatment. Well-fitting Dentures from dentist in Worcester Ma When old and worn-out dentures are replaced, the new dentures may be slightly thicker. Too much thickness in the dentures can lead to soreness in the muscles of the temples and face. The patient may suffer from headaches brought on by tensed muscles. If the pain is persistent, the dentist can reduce the thickness of the dentures to alleviate the muscle tension headache. Patients seeking oral health related headache treatments in Worcester MA can consider these dental solutions.